Erich K. Schmid, President | Business Intermediary Services, Ltd.
Mr. Schmid is cofounder and President of BIS. He is a 25-year veteran in the mergers and acquisitions arena. In 1974 Mr. Schmid’s corporate career began with The Babcock & Wilcox Co. (B&W) in its Corporate Planning and Business Development Department; and following the acquisition of B&W by J.Ray McDermott (NYSE: MDR) in 1978, he joined McDermott’s corporate staff. 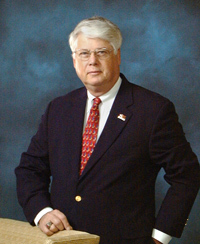 In 1980 Mr. Schmid was selected by Tidewater Inc. (NYSE: TDW) to be its first Director of Corporate Development and served in that position until 1985 when he resigned and moved to Asheville, North Carolina and joined a local business brokerage fum where he specialized in larger transactions. During nine years in general business brokerage he performed valuations of several hundred businesses for buyers and sellers and was involved in over 100 transactions. In 1994 Mr. Schmid and William J.Fass founded Business Intermediary Services,Ltd. to focus solely transactions in the lower middle market.